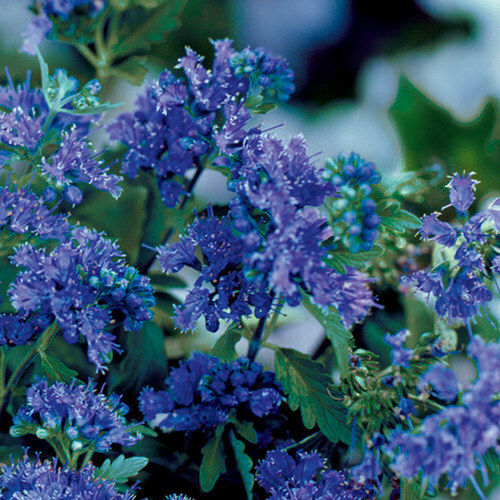 Plants in the genus Caryopteris are small to medium-sized woody shrubs cultivated for their attractive, aromatic foliage and usually blue flowers. The 6 species are native to the Himalayas and East Asia. 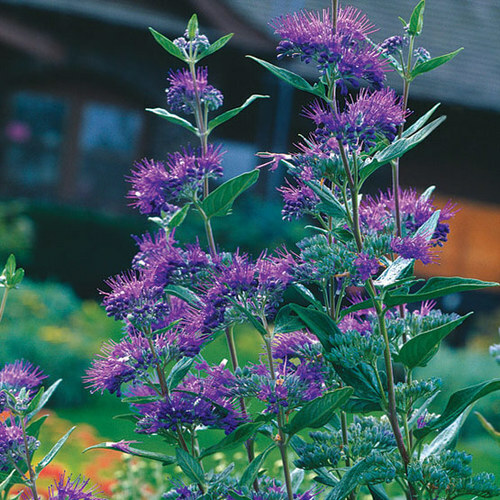 Grow in a mixed or shrub border. 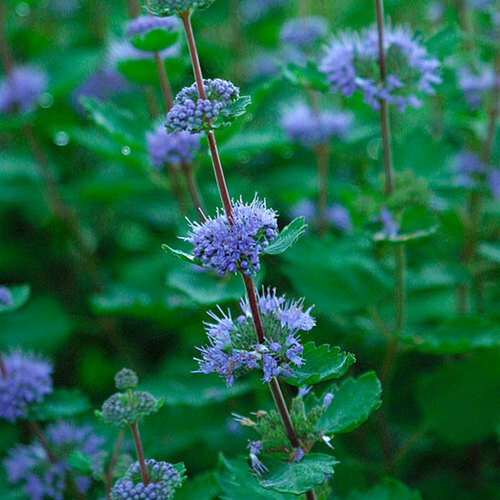 Noteworthy CharacteristicsOpposite toothed leaves and small blue flowers from late summer to autumn. 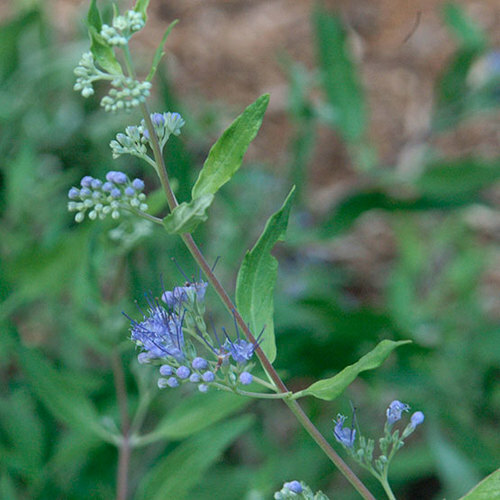 CareNeeds well-drained soil in sun to part shade. Blooms on current season's growth and may need to be hard pruned in spring in areas with severe winters. PropagationSeparate rooted stems from parent plant and transplant in early spring. Root softwood cuttings in late spring, or greenwood cuttings in early summer. ProblemsInfrequent. Capsid bugs may affect leaves.